There are times in the last two years when I have felt quite hopeless. There have been moments when I have thought about giving up. There have been thoughts of “why us?”, “why now?”, and “why not us, right now”? The thing is those times, moments and thoughts have never lasted long. My husband says it’s because we’ve become “bad news fit”. He says it’s like when you’ve trained for a hard race, and then you do it, and you recover quickly after it. I think the bible might refer to it as developing endurance. 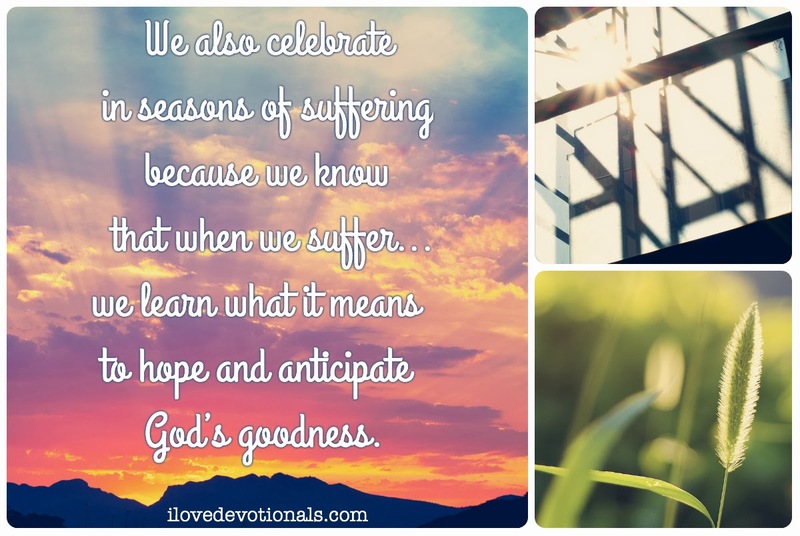 Romans 5: 3 says that it is by celebrating in seasons of suffering we develop endurance. Other versions say, “we rejoice in our sufferings”. I struggle with that idea because I don’t think there has ever been a moment when I’ve been rejoicing that my husband has cancer, or has to have chemo, or has to go through another hard thing. Yet in all things I have tried to see how God is working. I have looked for the intersections where God’s word meets our everyday lives. And I have prayed that God will show us what he is doing when I can’t see past my worried heart. I’m not sure if that is rejoicing in our suffering, but it’s definitely helped me to gain perspective on hard things. It’s helped me to believe that our story is part of a bigger story. It’s taught me to persevere – to keep going – when I feel like giving up. I think that might be what Romans is getting at: not that I must throw a party when bad things happen, but that if I trust that God is good, despite hard things, that I’ll learn to hope and anticipate God’s goodness. 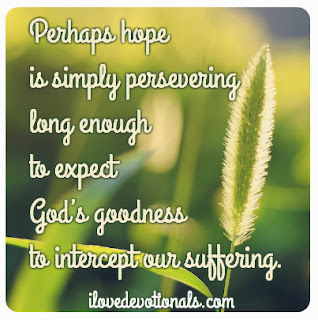 Maybe there really isn’t a secret to finding hope. Ponder: How do you react to suffering? Do you believe that through hard things you can learn perseverance?